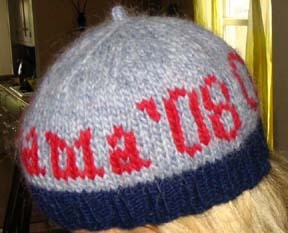 The Obama '08 logo twice, knit around in fair isle. 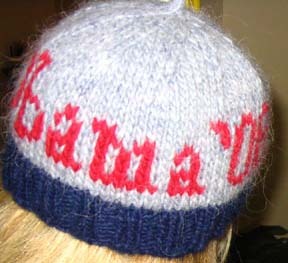 84 stitches for the ribbing; 86 for the body, with 3 stitches between the logos. Easy cheesy. Knit in Reynolds Lopi.